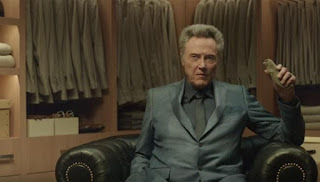 Kia revealed last week that Christopher Walken willstar in the Kia Super Bowl 50 ad. Now the car maker has released a teaser for the Big game commercial and its about socks not cars. In the teaser a guy is looking for his beige socks. He finds Christopher Walken in his closet holding his socks. The teaser stops there, but the story will continue about adding pizzazz to the man's life. You guessed it. With a 2016 Kia Optima. The Kia Super Bowl ad is scheduled to run in the 3rd quarter of the Big Game. Christopher Walken is voicing new Kia commercials that have been released this year. Watch the teaser for the Kia Super Bowl 50 Ad below. 72-year-old Christopher Walken can be seen in the new movie Eddie the Eagle, in theaters on Feb. 26 next. He is currently filming Nine Lives with Kevin Spacey, Robbie Amell and Jennifer Garner. The all-new 2016 Optima is Kia's best-selling nameplate. The midsize sedan segment with three engine choices, including a new 1.6-liter turbocharged four-cylinder that’s mated to a seven-speed Dual Clutch Transmission (DCT). The all-new Optima is built at Kia’s plant in West Point, Georgia.